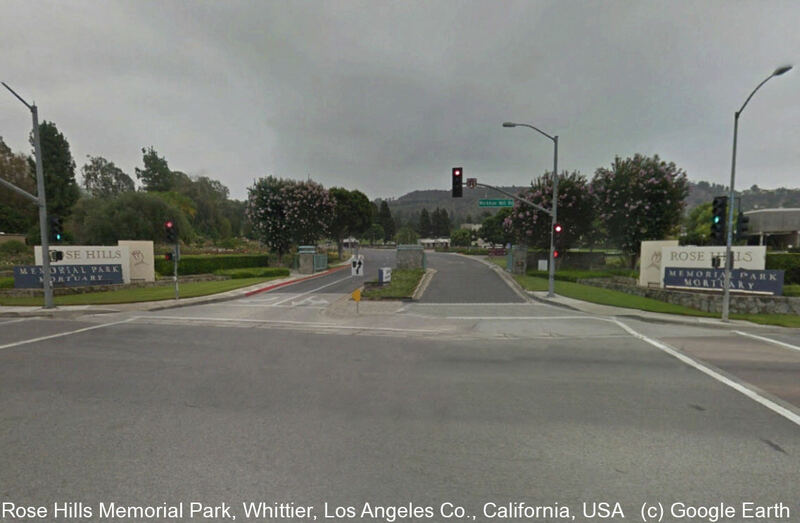 Rose Hills claims to be "the single largest memorial park in the world, over 1500 acres." To aid your search when you visit, make a note of all the burial information provided in the online database search. Stop in at the Main Information front desk (not the little booth in the driveway) and ask them to help you with curb numbers. Curb numbers are not part of the online database and you will want these to help you narrow your search for graves in the lawns.